NoVA Christian Film hosted an improv acting workshop today at Cherrydale Baptist Church in Arlington, Virginia. 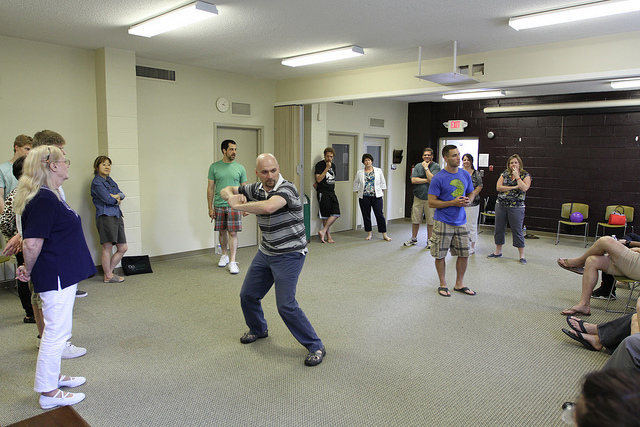 The workshop was taught by Mikael Johnson, a professional improv actor and former instructor at the Washington Improv Theater. The workshop was open to the public, and approximately 25 students enrolled. The one-day workshop offered something for everyone, regardless of skill level. Mikael first took the students through several warmup exercises, then jumped into games and eventually scenes. By the end, even the most introverted students were having a blast. Stay tuned to NoVA Christian Film for more announcements of upcoming workshops.